Teeth whitening in Perth is a booming industry (just one example of Perth’s changing economy) But with so many options to choose from, who should YOU choose to whiten your teeth in Perth? With all dentists providing a professional clean, more and more are also offering a professional whiten. In addition, standalone professional whitening clinics continue to pop up, and Perth has never seen as much healthy competition than it does now. This healthy competition is exactly what you, as the consumer, need. With each whitening professional competing for business, you can, with a little bit of research, rest assured that you’re getting the best deal. Before you make your choice, learn what you should be taking into account with our handy list..
Perth usually enjoys calmer, quieter streets than other capital cities. Unless you’re travelling during peak hour, driving to where you need to go a relatively easy, stress-free adventure (at least when compared to most other Australian capital cities). However, that’s no reason not to factor the location of your professional teeth whitening provider into the equation. Most teeth whitening professionals will recommend that you follow up your professional teeth whitening with an at-home whitening kit. This will help to maintain your new smile, and you’ll be able to touch up your teeth as needed to keep your pearly whites as bright and beautiful for as long as possible. These kits can easily represent hundreds of dollars in extra value, but aren’t always included in the quoted price. We don’t necessarily recommend going with the cheapest method on offer. There’s a lot more to factor into the overall value than just the price. If you’ve been doing your research, then you’ll know that there’s more than one professional teeth whitening method on offer. This will be one of the primary factors you’ll need to consider when making your choice. It’s important to go into your professional teeth whitening procedure with a good idea of both what you want, and what to expect. Sometimes people to leave disappointed with the results. However, these people have not spent the time they need to understand exactly what they want, and what to expect. It’s time to take a look at our Top Five Professional Teeth Whitening Providers in Perth!We’ve done the research and factored our earlier considerations into these reviews. Corner of Wellington and William Streets, Perth CBD. St. Georges Terrace, Perth CBD. This state of the art dentist practice is located in the centre of Perth. Open seven days of the week from 8 AM. 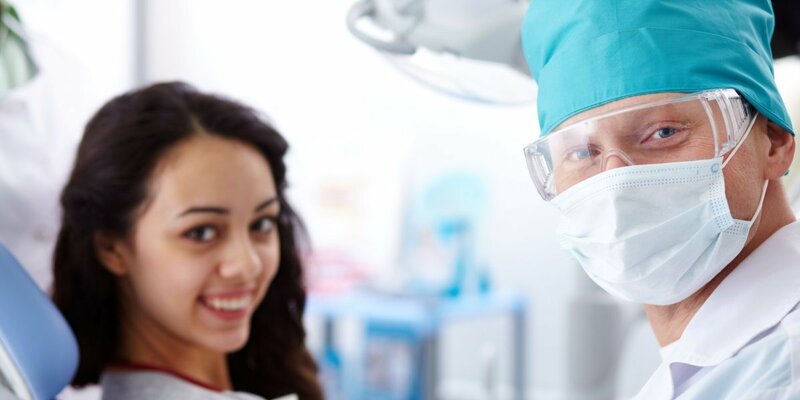 to 8 PM, their team of highly experienced dentists will be able to look after you from start to finish and provide all of the advice and care that you need. Find out more about them here. Perth Central Dental Centre offer the Opalescence in-chair professional teeth whitening system. Location: Corner of Wellington and William Streets, Perth CBD. Methods of Teeth Cleaning: Perth Central Dental Centre use the Opalescence professional teeth whitening system. Opalescence is a bit different than a lot of the competition. They claim that the evidence available to them shows that the bright lights used by other systems that are designed to activate their whitening gels, speed up and improve the results, are simply unnecessary. This treatment will take roughly one hour, and whitening gel will be applied to your teeth for the duration of the treatment. Whilst we’ll wait for the claims regarding the efficacy of light activated whitening gel's to be verified by independent experts before forming our conclusion; if you have concerns about the lights (which are perfectly safe when used correctly) that are used by other professional whitening methods, or you’d just like to try something different, Opalescence by the team at Perth Central Dental Centre may be just what you need. With treatment times half that of many other professional treatments, the thirty minute Pola White system promises to deliver instant results to satisfied customers. Locations: King Street, Perth CBD. St Georges Terrace, Perth CBD.Beldon. Methods of Teeth Cleaning: Pola White is a method of professional teeth whitening designed to take less time that other systems - only thirty minutes. This can be beneficial for the time poor, or for those who are concerned about sensitive teeth. While virtually no methods of teeth whitening are suitable for those who already have very sensitive teeth, if you’re worried about some of the potential side effects of teeth whitening or you’ve experienced slight sensitivity in the past, Pola White may be for you. Just like Opalescence, Pola White does not utilise any lights to “activate” their whitening gel. We can not verify if the shorter treatment times and the lack of lights will provide the same results as the more popular professional whitening systems. But, we do know that this Pola White system still gets good results. Another dental practice in the heart of the city, Accent Dental offer what is by far the most popular method of professional teeth whitening – Zoom whitening. Location: St. Georges Terrace, Perth CBD. Methods of Teeth Cleaning: Zoom is one of the most popular methods of professional teeth whitening worldwide. Zoom’s huge success can be credited to its reputation - people everywhere are satisfied with the results from Zoom. We don’t mean to suggest that any of the other professional whitening services on offer are any worse than Zoom, but if reputation and evidence of success are your main priorities, it would be hard to recommend anything else. Zoom uses a light activated whitening gel. Consultation and treatment times will vary between 60 and 90 minutes. The folk at Simply Teeth have a great philosophy behind everything they do. They aim to treat you like family and answer any questions or concerns that you might have. If that doesn’t sell you on the idea, perhaps the prospect of walking into the clinic and being greeted by relaxing Jazz music will! Methods of Teeth Cleaning: Zoom, one of the most popular methods of professional teeth whitening worldwide. The whitening gel is applied to your teeth, and an LED light is put in place to activate the gel and improve the results. Located in the CBD, open seven days a week including public holidays, and operating a veritable army of dentists, dental assistants, and other support staff, Lifecare dental have grown from strength to strength. LifeCare Dental have 31 dentists and 68 dental assistants - a sign of this practice's continual success over the past 25 years. Location: Wellington Street, Perth CBD. Methods of Teeth Cleaning: SmartBleach 3LT, which the SmartBleach manufacturers claim has been shown to be the most effective method of whitening teeth. Without the independent studies to reference this claims and review the evidence we’re unable to verify these claims. However, rest assured that this system does indeed work. If LifeCare Dental is willing to stick their reputation on this system, it’s a fair bet that they trust it to provide the best for their patients. The above list is by no means all of the teeth whitening options in and around perth, however it’s a great starting point when you’re looking for the best teeth whitening in Perth. If dental/cosmetic whitening is not for you be sure to consider at-home teeth whitening which you can find out more about here.